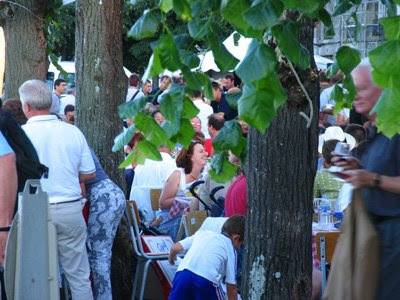 A reminder that this Saturday is the annual Marché Médieval in Chinon and on Sunday the Fête du Village in Panzoult with the opportunity to taste wines from this village in the Chinon appellation. 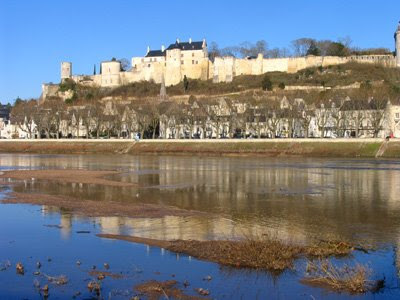 As is so often the case there have been considerable variations in the Loire weather depending upon the sector – meaning that some vignerons are happy, particularly in Anjou and the Pays Nantais, while others especially in the Cher are cursing what a year with 13 moons has thrown at them. 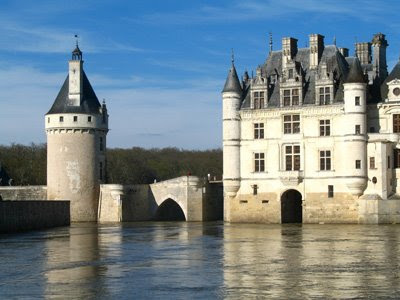 As a friend said yesterday – "Distances are SO big in the Loire!" Therefore, although it is tempting to generalise, it is dangerous. Conditions have been difficult in eastern Touraine with alternating fine weather and rain, so unfortunately a promising year for mildew. Furthermore there have been heavy but localized hail storms – one on the evening of 16th July and one last week on Friday 24th. The storm of the 16th produced some spectacular hailstones – the size of golf balls. See here. There was some damage in Pouillé but probably more in Angé and then on the north side of the Cher between Monthou and Thesée. 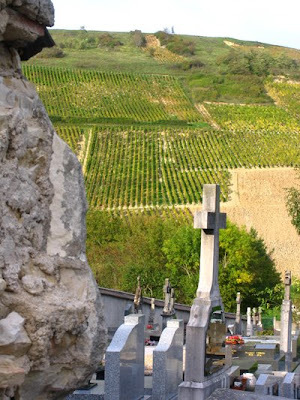 I understand that Jean-François Merieau (Vignobles des Bois Vaudons, Saint-Julien-de-Chédon) was amongst those hit. It was mainly his Gamay with some blocks suffering 80% damage with the overall damage estimated at around 20%. Fortunately the Sauvignon Blanc wasn't affected. Effectivement, il a grélé sur la commune de Pouillé le jeudi 16 juillet vers 20h 20h30. Il y avait beaucoup de vent aussi. Chez nous à la Tesnière, il est tombé quelques gros grélons gros comme des oeufs de pigeons ( j'en ai compté un dizaine, c'était à la fin de l'orage ). Donc pas de dégâts mais je me suis douté que l'on était en limite de l'orage de grêle et donc qu'il y avait surement des dégâts quelque part. J'ai pris ma voiture après manger vers 10h le soir pour aller voir mes parcelles les plus éloignées et ouf, rien quelques gros grélons aussi d'après des voisins qui discutaient dehors. Mais apparement, le gros de la grêle n'était plus très loin. Effectivement un peu plus loin sur la commune de Pouillé vers Angé les dégâts étaient spectaculaires dans certaines parcelles de mes collégues. Comme en hiver!! L'orage de grêle était donc de Saint-Julien de Chédon jusqu'à Pouillé "Ouest" en passant par Angé. Il a traversé le Cher et a frappé entre Monthou et Thésée. Vendredi dernier, il y a eu un nouvel orage avec une petite grêle très courte mais virulente. Nous avons eu des impactes sur certaines parcelles mais rien à voir avec l'orage du 16. Voilà, vivement les vendanges ! Sans oublier un peu de vacances d'ici 15 jours !! Mildew and black rot have been a problem this year with mildew on the grapes. Fortunately we didn't suffer much damage from the storm on 16th but we were more affected by last week's hail. Like 2007 and 2008 it has been a tough tiring year – due to the 13 moons? The news from Anjou – at least from Saint-Lambert-du-Lattay and Brissac-Quincé – is very different as here there has been virtually no rain since early June. The vines are looking superb and the grapes are very homogeneous – all about the same size. It is very dry here – a little rain would be good just 10-15 mm. 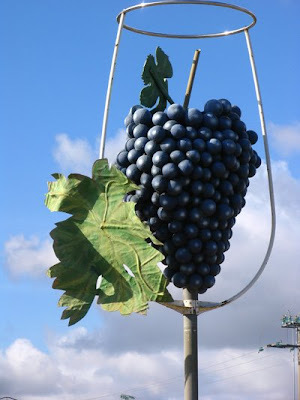 This would help the grapes to ripen because if it stays dry like this there is a danger that the vines will shut down and the grapes will stop ripening. 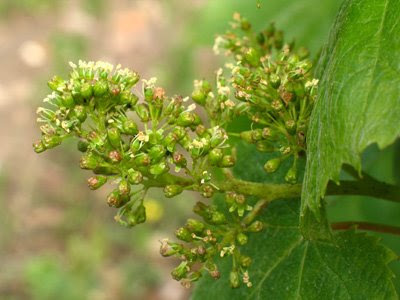 I expect the véraison (when the grapes begin to change colour) to start in about 15 days. Most of the grass has gone all yellow – as though we had used weedkiller. Not the case of course as Christophe is bio-dynamic. It is still too early to tell but the harvest for the early ripening varieties will probably start around 15th September – a little bit earlier than last year. The vines are beautiful – our team of workers finished working on them yesterday before the summer holidays – deleafing and thinning out. We don't have any bunches touching each other – all are spaced out. The vines are very healthy as we have had no rain since early June – 40mm fell that month and much of this on Monday 8th June. 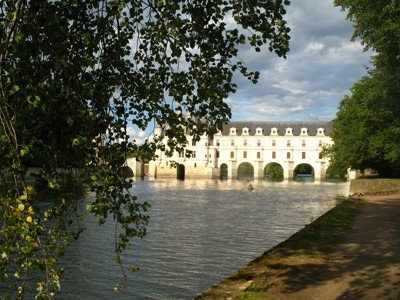 There have been storms but they have all been to the north of Angers. It was important to thin out the Chenin crop as some of our parcels had too big a crop – not surprising as last year was a small vintage. The harvest will probably start around mid-September but we will have to see. While we chatted Vincent revealed that he had had a brain tumour removed in May and is now recovering. Fortunately it wasn't malignant and Vincent is now making a good recovery and hopes to be fit for the harvest. Another happy vigneron reporting that although mildew has been a problem this year it is under control, although everyone has had to work very hard in the vineyards. Recently there has been a little oidium in the Chardonnay but again this is under control. They are continuing to expect a normal sized harvest and to start picking around 10th-15th September depending on the weather. Today I received this question from someone in New Zealand, who will soon be visiting the Loire and wants to go and see a number of producers. My response? : lack of French can be a problem but many producers now speak some English and some very well as they have worked abroad. It is always worth making an effort to speak French as it is appreciated. I think it is remarkable how far it is possible for people who have the same interest but don't share the same language can manage to communicate. 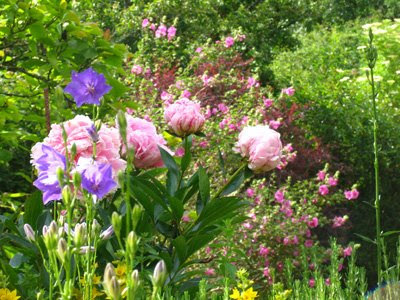 However, there is no doubt that if you can speak French when visiting producers in the Loire you will learn much more. There are the subtleties of language that get lost in translation. The important thing is to try to speak – irrespective of how many mistakes you make – it is the only way to learn, although it is tiring and requires concentration. I pleased that when I started to write about wine at the end of 1988 I made a special effort to improve my pretty limited French. When speaking to French people I would refuse to speak English, even though their English was way better than my French at the time. I clearly remember one day when it clicked and I discovered I had the confidence to change what I was saying if it wasn't working. Rather like that moment when you find you can ride a bike or swim. For my work I have have found it hugely useful to be able to speak French whether it is face to face or on the phone. Now if I'm in a country where I either don't speak the language or I only have a few words I find it frustrating during a visit to a wine producer with an interpreter because I know that only about half (at best) of what the producer says gets translated and sometimes wrongly. There are also nowadays a number of producers who speak English, particularly the younger generation either because they have made wine in California, South Africa, Australia or New Zealand etc. or because they travel to English speaking countries exporting their wines without forgetting the influence of American films and TV. 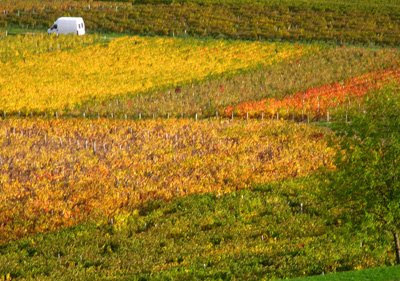 In mid-January 2007 I went to Millésime-Bio, an organic wine fair that is held every year in Languedoc-Roussillon. Most years it changes location within the Midi. In 2007 it was held in Narbonne, in 2008 it reached Perpignan before moving to Montpellier last year and is now staying on their this year. It is well worth visiting and I'm hoping to get back for the next edition. Although I don't have a list of exhibitors at the moment, there is usually a strong contingent from the Loire including Thierry Michon (the much travelled Fiefs Vendéen producer), Agnes and René Mosse (Anjou), Joseph Landron (Muscadet de Sèvre-et-Maine, Hervé Villemade (Cheverny), François Plouzeau (Touraine), Vincent Girault (Touraine-Mesland) and Vincent Gaudry (Sancerre). Millésime Bio is only open to the trade. Millésime Bio confirms that the 2010 edition will be held in Montpellier. - 354 exhibitors: winegrowers and merchants (annual increase of 27%) coming from South Africa, Germany, Spain, France, the United Kingdom, Italy, Poland, Portugal, Romania. 1700 professional visitors, mostly from Europe, Northern America and Japan, representing 700 wine buying companies (annual increase of 50% ). In total, 31 countries (other than France) were represented, including 14 non-EU countries. Building on the 2009 success which gave the fair a global audience, Millésime Bio 2010 will host more than 400 exhibitors (winegrowers and wine merchants) at the Exhibition Center in Montpellier. 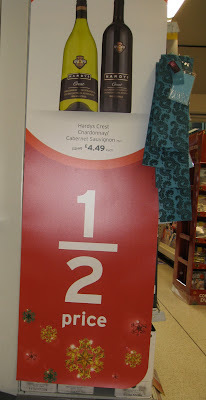 a unique concept: ready-made, identical stands, the wine alone makes the difference! The 3rd edition of Challenge Millésime Bio is an important event not to be missed! Tasting of samples will take place on 16th November 2009. Further details on www.millesime.bio.com. This site does, however, claim that the fair is still taking place in Perpignan. 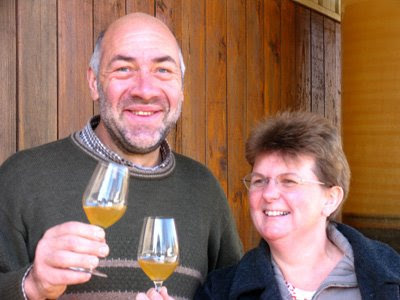 This annual consumer fair for wines from the Touraine region is normally held on the first weekend of December at Chitenay, 10 kms south of Blois. It would be good if someone could confirm the date. Following Noella's message Les Vins du Coin will be on 5th and 6th December but this year at the Haras de Blois. Hopefully the location that comes up on Google maps is the right one! Once again have spent time trying to get my photos in some sort of order. 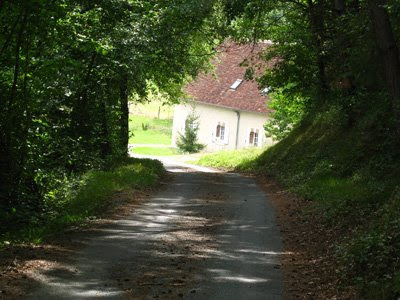 Here are a few taken around Epeigné-les-Bois. Also a good time to remind owners of websites etc. that my photos are copyrighted and that if you wish to use them on your site you will need permission and there may well be a charge. Amazing how quickly things return to nature. 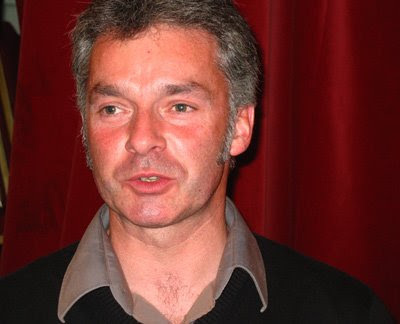 I have just received the very sad and shocking news that Stéphane Cossais, a very talented and individual producer in Montlouis, died of a heart attack on Saturday morning while in the Dordogne on holiday with Chloé, his nine-year old daughter. My guess is that Stéphane must have been in his late 30s to early 40s, so this is an awful shock for a young man to have died of a heart attack. I last saw Stéphane at Les Caves de Pyréne's London tasting at the end of April, when he seemed very well, fit and full of fun. 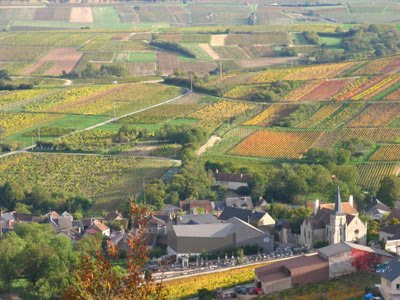 Stéphane was one of a number of newcomers to Montlouis, whose presence has made this such an exciting and dynamic appellation. He was very critical of his wines and determined to be complete true to his vision of how his wines should be. 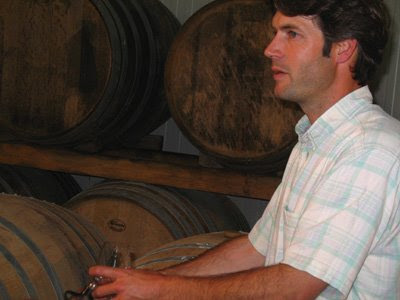 Stéphane concentrated on making dry whites of great purity and brilliant precision. The pain of his death is accentuated by the conviction that the best was yet to come – a feeling of great promise that will now never be fulfilled. My profile of Stéphane is here. Sadly Micaela and Sue's post has confirmed that Stéphane did indeed die on Saturday. He was just 42. Apparently he was taking part in a walking race. Report on Omnivore here. My condolences to Stéphane's family. 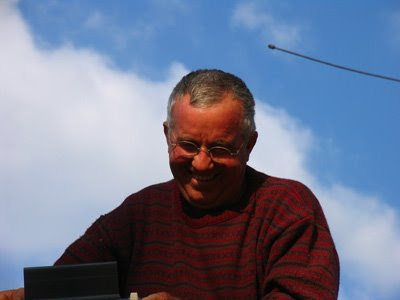 The funeral will be on Thursday (30th July) in Montlouis at 15.00. 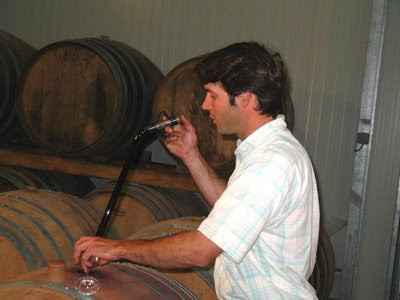 I understand that his Montlouis friends will continue to look after Stéphane's vines and will do the 2009 vintage. Apparently Flore, his partner from whom Stéphane was separated, may take over running the small domaine. Only Charles Pelissier, Eddy Merckx and Freddy Maertens have won eight stages in a single Tour. • Freddy Maertens was (still is?) a great collector of fine Bordeaux. With the exception of Sean Yeats I haven't listed riders who have only scored a single victory. Please let me know if I have missed out any significant winners. After a good lunch at Le Pot de Lapin, Henri and I headed to Saint-Just-sur-Dive and the Domaine de Saint-Just run by Yves and Arnaud Lambert. 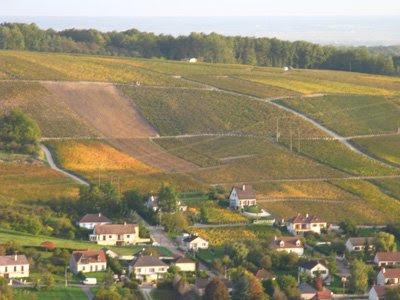 The estate is a fairly recent creation – set up in 1996 by Yves, formerly a banker. 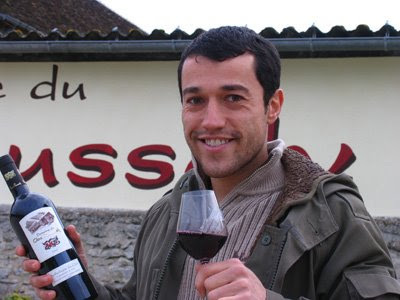 Yves, who is a cousin of Régis Neau (Domaine de Nerleux in Saint-Cyr-en-Bourg) was joined by his son, Arnaud, in 2005 after he had finished his wine studies in Bordeaux. Increasingly we are seeing a new generation take over the reins: Arnaud looked after us, while Yves was operating the fork lift. They now have 42 hectares of vines and at the beginning of 2009 they started to convert eight of these to organic viticulture. 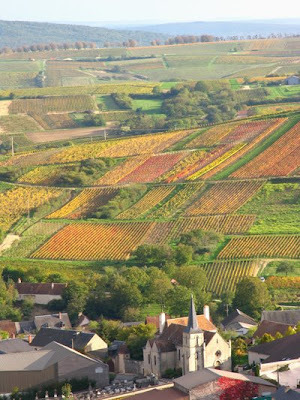 The Lamberts have also recently concluded a 50/50 agreement with the Comte de Colbert of Château de Brézé to run their 24 hectares of vines. 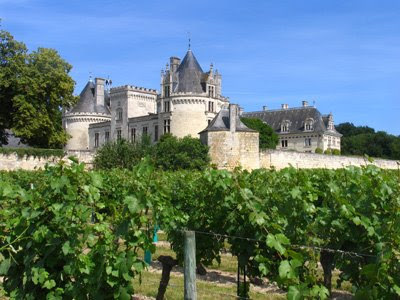 Although the Château de Brézé makes red Saumur (Cabernet Franc), it is best known for its whites from Chenin Blanc as are much of the vineyards around Brézé. It is here that both the Foucault brothers and Antoine Foucault have their Chenin Blanc planted. Like so many producers in the Loire, 2008 was a small harvest. "Our average yield was 35 hl/ha last year," says Arnaud. "The ideal figure for us is between 45-50 hl/ha." We taste various 2008s reds and whites mainly from barrel. Probably due to his commercial background Yves has always understood the need to make his red wines soft, attractive and approachable. This shows in the 2008 Saumur-Champigny range from the Yves Lambert through the more concentrated and structured Terres Rouges and onto the top red – Clos Moleton, which is matured in 500 litre barrels with a mix of new, one year and two year old barrels. Coulée de Saint Cyr, their top Saumur Blanc, has 10%-15% of new oak. The 2008 barrel sample had attractive apricot and white flower flavours. Then on to their successful Crémant de Loire, which is proving to be very popular in China. 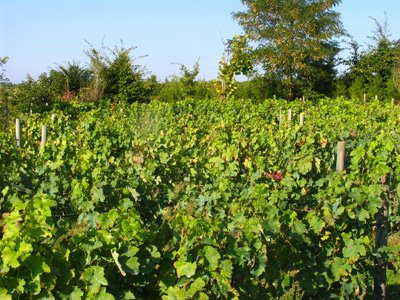 20 hectares is given over to the production of Crémant in the sandy vineyards around Saint-Dive. The blend is 60% Chenin Blanc and 40% Chardonnay, which spends two years sur latte resulting in an attractively citric, fresh and delicate sparkling wine with good length. They also make a creamy, strawberry flavoured Crémant Rosé – a blend of Cabernet Franc and Cabernet Sauvignon. The blackberry and raspberry L'Ardoisier, a méthode traditionelle rouge, completes the sparkling line up. 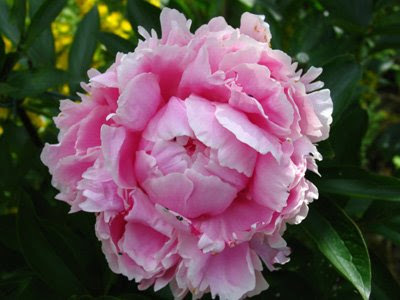 It is soft with a hint of vanilla.The Lamberts recommend it with chocolate, vanilla ice cream and red fruits. Then a look at some still wines including the precise 2006 Coulée de Saint-Cyr (Saumur Blanc), although it has less weight than the 2008. The 2008 Les Terres Rouges (bottled at the end of April) is sooty, slightly herbal and with a touch or two of green pepper on the finish. The black fruited 2007 Montée des Roches has more concentration – 50% matures in three and four use barrels, with 50% in vat. The 2007 Clos Moleton is soft, rich and concentrated and long, although a little cloying – probably needs more time in bottle. 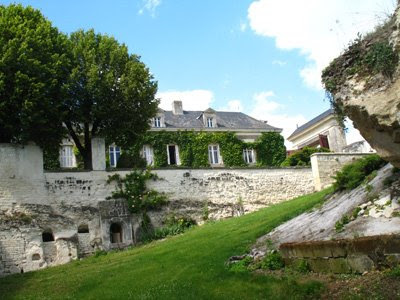 We finish the tasting at the winery with the fine, rich 2005 Coteaux de Saumur – a mix of apricot and ripe citric fruit, especially orange peel. This is only made in favourable vintages – 1997, 1999 and 2001 were the previous vintages, although 2001 wasn't put on the market. 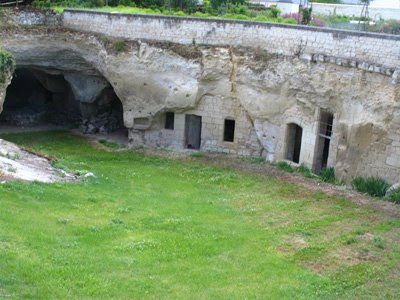 Then it's on to the amazing troglodyte cellars that they have at their home in Saint-Cyr, which date from the 12th century. Here we taste a couple of vintages of the Coulée de Saint-Cyr – 2004 and 2000. I particularly liked the balance of rich, honeyed fruit and freshness in the 2004, which demonstrates that the best years for Loire dry whites are often the difficult vintages. Finally two vintages of Clos Moleton – 2002 and 2005. The 2002 quite classic Loire with pencil shavings and freshness, while the 2005 is as you would expect considerably weightier, more concentrated and needing some more time. 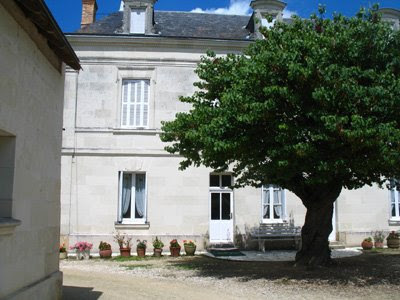 I look forward to seeing how the Lamberts' new venture with the Château de Brézé develops. Quick reminder that the famous garlic and basil fair is on today in Tours around Les Halles. Unfortunately all the garlic producers are over the age of retirement – apparently there are no youngsters coming up to take their place. I have finally finished the report on a recent visit to Coralie and Damien Delecheneau's La Grange Tiphaine (Amboise and Montlouis). Click here. Article in today's La Nouvelle République on two micro-breweries – one in Sancerre (La Sancerroise) and one in Bourges (La Crécelle). Between them they make just over 1000 hl of beer a year. Brasserie Sancerroise, 258 Route d'Amigny, à Sancerre. Tél. 02.48.54.29.91. Ouverte du mardi au samedi et le dimanche pendant l'été. Visites de groupes sur rendez-vous. 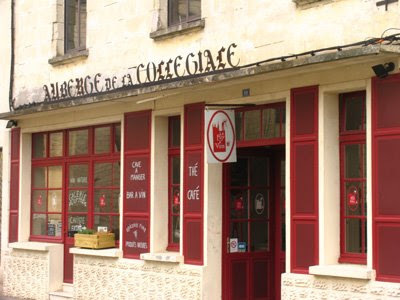 Brasserie La Crécelle, 155, Route de la Charité, à Bourges. Tél. 02.48.70.34.71. 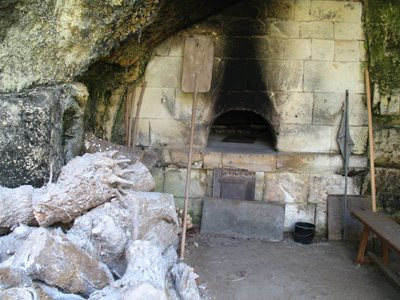 This year Montrichard has two summer spectaculars based around its donjon. The programme starts this Saturday (25th) and runs through to 15th August. Amaury, Fils du Dragon, nouveau spectacle de 45 minutes, écrit et mis en scène par Laurent Tixier, est l'histoire d'un enfant qui pour venger la mort de son père devra affronter toutes les embûches d'un monde fantastique révolu : Le Moyen Age. "1249 - Fées et Chevaliers"
Montrichard's donjon (fortress) was built in 1010 by Foulques Nerra, the Count of Anjou, whose nickname was the black falcon. There is a detailed account of the history (in French) of the donjon here and an account of Foulques Nerra's life. 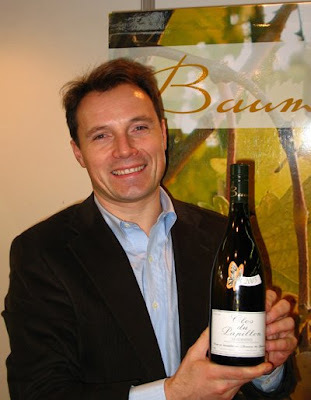 It's now well over three years since Florent Baumard became the first top quality Loire producer to opt to bottle his wines in screwcap. While the move to screwcaps in the Loire continues to be fairly slow, less slow amongst the négociants, agreed, but slow with many individual producers, it has now made surprising progress in Portugal – the heartland of the world's cork industry. This morning I was surprised to see a half bottle of Mateus Rosé sealed with a screwcap. Admittedly full sized bottles on sale were still closed with a cork but presumably these will move in time to screwcap too. If Sogrape now feel comfortable to use screwcaps on Mateus in Portugal, when will producers in Sancerre, Pouilly and, especially, Muscadet follow suit? After all it is now nearly 10 years since the Clare Valley Riesling producers set off the screwcap revolution in 2000. Découvrez le métier de vigneron et son travail au quotidien. 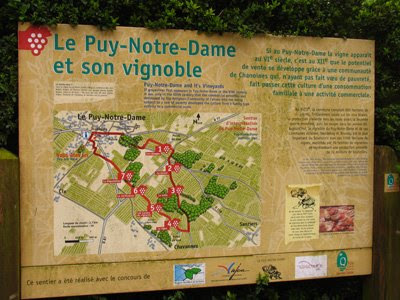 Une balade dans les vignes à la recherche d’indices vous permettra de vous interroger sur la vigne, le vin et la viticulture. Rendez-vous au Domaine du Pont du Livier, chez Flore et Emmanuel Rialland à Saint Georges sur Layon. 8 €/ personne, gratuit pour les enfants. Trying to get the report on Coralie and Damien Delecheneau (La Grange Tiphaine) finished today but being seriously hampered by the Tour de France's climatic stage through the Alps. Report here. PS I'm afraid today's stage was far too exciting to allow me to add any more to the report. However, I am now working on it. The centre of Saumur (Place de République) beside the Loire should be full for the two evenings of Les Grands Tablées (Wednesday 5 and Thursday 6 August). 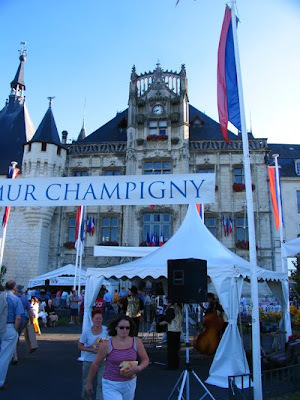 Hopefully the weather will be fine for the 3000 expected each night to enjoy their food, Saumur-Champigny and the music. It all kicks off at 7.30pm and worth going to if you are in the area. If you want to eat you'll need to book. 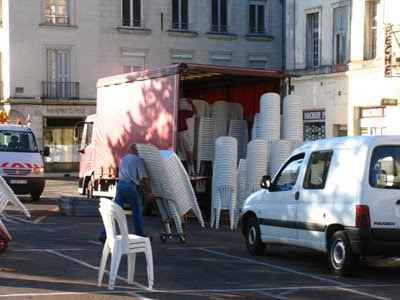 Saumur, Place de la République, 19h30, la table est dressée au coeur de la ville pour plus de 10 000 convives ! 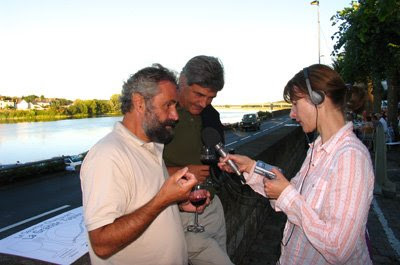 Ambiance au programme : rock, chansons françaises et populaires, flamenco... Repas autour des produits du terroir, dégustation de Saumur Champigny bien-sûr, le tout orchestré par les producteurs de l'appellation. Alors si vous voulez participer à La Grande Tablée version 2009, réservez vos places dès maintenant ! Il faut consommé le Saumur-Champigny avec moderation et discretion mais surtout avec apprecation et discrimination! Les Grands Tablées used to be an annual event. 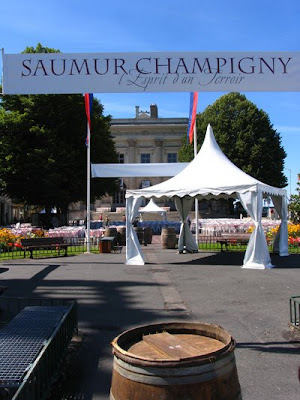 In 2005 the Saumur-Champigny producers organised a great press trip to coincide with it. The trip was excellent with good tastings and a cricket match that we won (not, perhaps, a huge surprise) but also a game of boules forts that we won too, which was a big surprise! 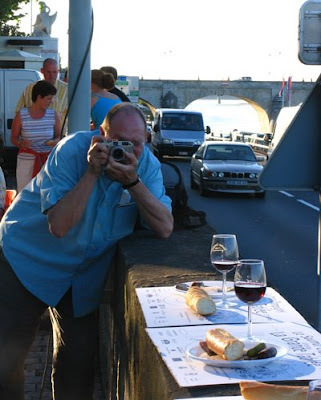 More summer wine events in the Loire here. Although the summer of 2009 so far has been considerably more promising, than 2007 and 2008 especially for those who have recently invested in swimming pools, it has been characterised by some heavy rain often as storms with hail. Parts of Menetou-Salon were severely hit twice in May. 'Don’t know if you were aware but we had quite a storm the night of 16th/17th July. There was some hail, which caused slight damage to the vines of Chossay and it’s neighbours (around 1% to 2% of grapes sustained damage). Les Doumees apparently bore the brunt of the hail in Epeigne with up to 50% of crops wiped out. I’m not aware of any structural damage or whether there was hail damage in other vineyard areas in the region. 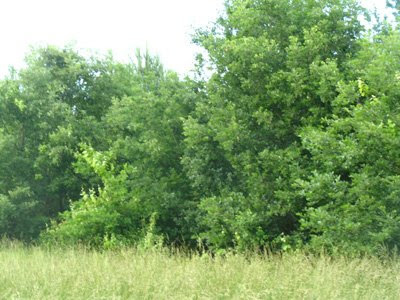 Charente and Charente-Maritime apparently suffered 60% destruction over 1,500 hectares. Unfortunately Meteo-France is also forecasting storms in Indre-et-Loire on Thursday evening. Fortunately although the effects of hail can be devastating it tends to be localised – generally far more than frost. Rendez-vous en néerlandais le jeudi 23 juillet à 15h, découverte d\'un domaine viticole en agriculture biologique, approche de la vigne et de son terroir. Rendez-vous au Domaine de Juchepie chez Mileine et Eddy Oosterlinck à Faye d’Anjou. 8 €/personne, gratuit pour les enfants. Cette merveilleuse demeure du XIXème siècle appartient à la famille Tijou depuis 5 générations. 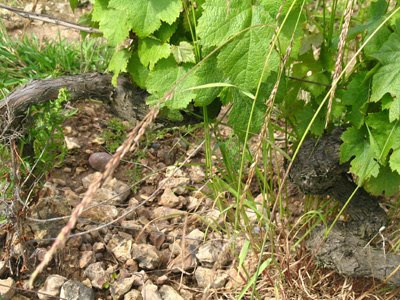 Partagez la passion du métier de vigneron et dégustez le cépage « Chenin » à travers quatre grandes appellations : Chaume, Coteaux du Layon, Savennières et Anjou Blanc. Une belle balade entre histoire, patrimoine et grands crus ! Rendez-Vous au Château de Bellevue, Chez Anne Et Hervé Tijou à Saint Aubin de Luigné. This week sees two garlic fairs, or more strictly, one garlic fair (Bourgueil) and one garlic and basil fair (Tours). As well as being a well-known appellation, Bourgueil also grows a lot of garlic and tomorrow is the Foire à l'ail at Bourgueil. 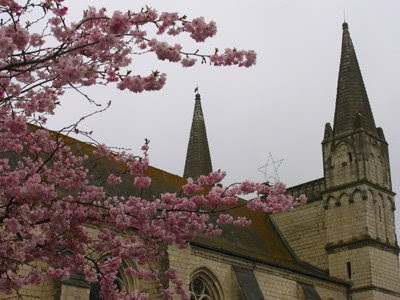 It is held in the market in the centre of Bourgueil and runs from 9am-1pm. You can also buy onions and shallots. 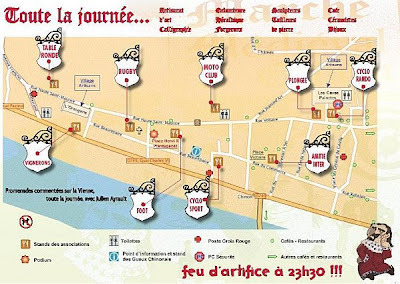 Then on Sunday 26th July there is the annual Foire à l’ail et au basilic in Les Halles, Tours. The fair runs all day from 9am in the morning to 9pm in the evening. Further details here. 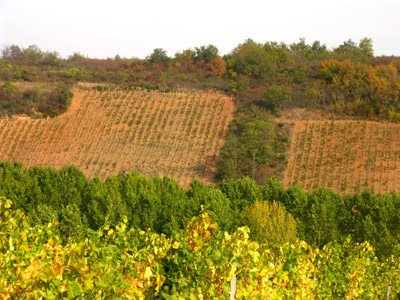 Following on from the end of my last post with some small, high-quality Loire producers deserting appellation contrôlée because of its perceived failure to incorporate environmental concerns within its rules, Bertrand Celce has another excellent article on his blog – Wine Terroirs. 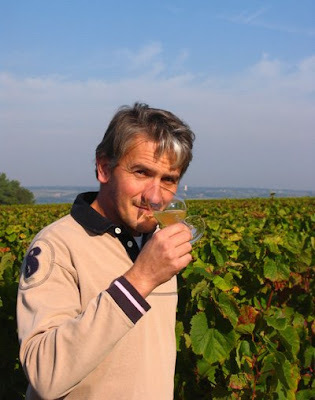 It's an interview with Didier Barrouillet of the Clos Roche Blanche. Didier explains how he uses plants to build micro-diversity in his vineyards and micro-bacteria in his soils. 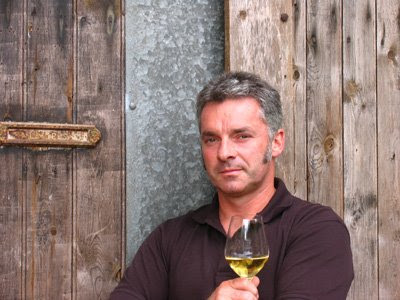 He claims success against esca, which is a grave threat to the Sauvignon Blanc vines. Didier is convinced that there is a link between esca and the widespread use of Roundup that in time leaches down to a vine's roots killing the micro-bacterial life that can protect a vine. 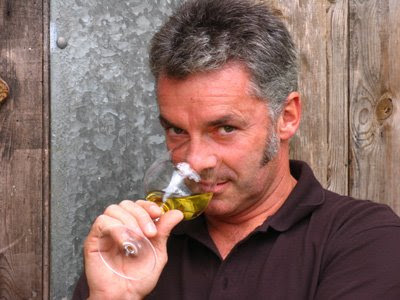 Typically the INRA (France's vine research institute) considers Didier to be a 'lunatic'! ... and this is sane!? I was aware, and Bertrand's article confirms this, that Didier, like Claude Papin and others, has grave doubts about turning the soil over and thus destroying its profile. 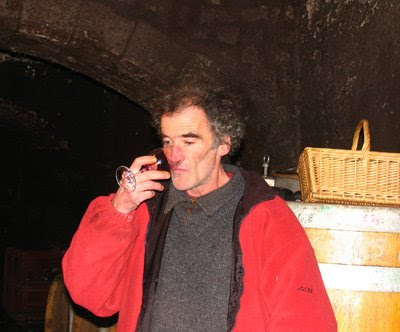 Didier is nearing retirement – he and Catherine Roussel have reduced the size of Le Clos Roche Blanche to nine hectares – and he intends to concentrate on his work in the vineyard. It would be good to see Didier set up a website or a blog to spread his ideas and findings to a wider audience. 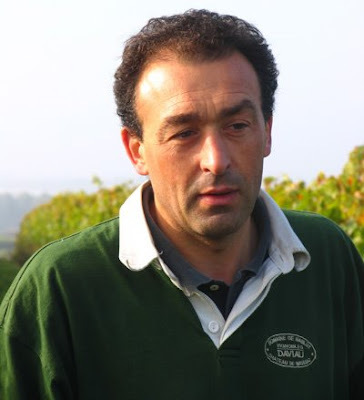 See also here comments on Bertrand's article on the Clos du Porteau blog – Aynard is very concerned by the threat that esca poses to his Sauvignon Blanc. Also a very brief report here on the Porteau blog on Esprit Vif held yesterday at Château des Couldraies in Saint-Georges-sur-Cher. It appears to have been a success. During my daily early morning surf or site-seeing, two items caught my attention. Firstly a good report by Charles Metcalfe in the Telegraph on the rapid decline in sales of French wine in the UK. New figures show Britons now buy more wine from Australia and California than France. Charles Metcalfe explains why. The holidays are just about here, and the children are anchored to Facebook or reruns of inappropriate American cartoons. There must be somewhere better, sunnier, healthier, where shorts and flip-flops oust suits and shoes, restaurants cost less and wine runs freely. Depending on priorities, the average Briton makes for Spain or France. Spain for sun, and France for quality of life (translation: brilliant food-markets, €20 three-course restaurant menus, and inexpensive, crazily drinkable wines). We love France (if not the French). See also report on agrisalon on significant falls in the sales of vins de pays and vins de table. Then, secondly, this item in vitisphere.com about the new wine category that will be without IG (indication geographique – no mention of where they come from). In plain language the old vin de table category with new rules – principally that you can put the vintage and the grape variety on the label – previously this was not allowed. 'Vins sans IG avec indication de cépages et de millésime : un peu plus de clarté. Le conseil spécialisé vins de France Agri Mer a voté jeudi 16 juillet à l’unanimité le nouveau cahier des charges des vins sans indication géographique avec mention de cépage et de millésime, nouvelle catégorie qui entre en vigueur le 1er août de cette année, donc pour la récolte 2009. So no limits on the amount you can produce and no tasting control, although given some of the rubbish that gets through the appellation contrôlée agrément tastings ................. All the producers have to prove is that the bottles contain the grape varieties and the vintage claimed on the label. This all seems clear enough – just as well as the new EU wide category comes into force on the 1st August. 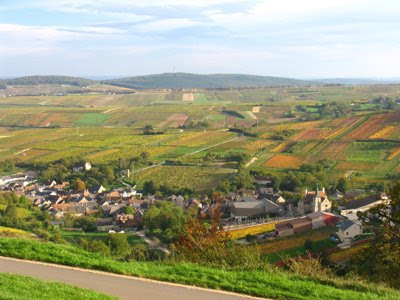 Certain French regions – notably Alsace, Jura and Savoie object to these new wines being able to put the names of their local varieties on the label. 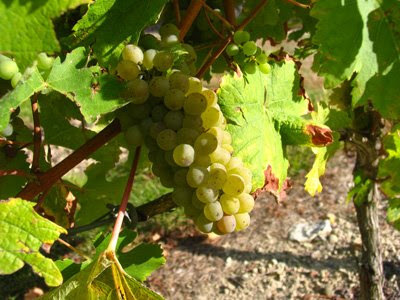 Although I can see that the name Riesling, Pinot Blanc or Pinot Gris even Gewurztraminer on a label may well help to sell the wine, I struggle to think that Mondeuse – a red variety from Savoy – or Savagnin – a white from the Jura – is going to help to shift any additional bottles. In any case what producer of high volume sans IG (there doesn't appear to be a convenient abbreviation here, so I'll go for SIG from now on) is going to use either Mondeuse or Savagnin? The second objection to the use of the name vin de France by IG producers (ie what used to be called vins de pays) – could well prove to be more troublesome. 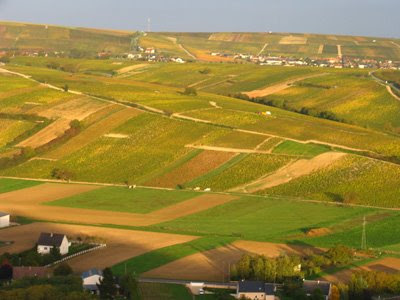 These are the producers who have already had the designation 'vignoble de France or vin de pays de France' annulled in the French courts and sunk the earlier attempt – cèpages de France – to allow multi-regional blending. What the legal objection to vin de France is I can't imagine, assuming that the SIG wine comes from France, but that probably won't stop a recourse to the law. You see echoes here of the hysteria that surrounded the perfectly sensible proposal to allow the blending of red and white wine to make rosé. 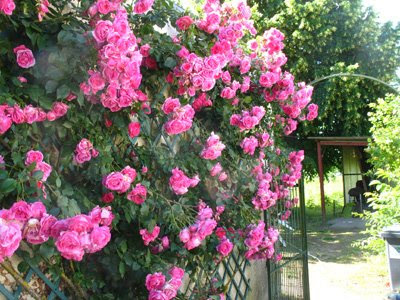 It would be good to see the French Ministry of Agriculture throw both of these objections out but given the abject surrender by the Europe Commission to the pressure from rosé producers I fear they will crumble too. I'm not surprised that French wines have suffered recently in the UK – the sudden drop is the sterling-euro rate certainly hasn't helped. Many price lists are sent out at the beginning of the year and were set when sterling was at its weakest. Several UK importers told me during this year's Salon de Vins de Loire that French producers were about to lose a substantial part of the UK market. One interesting aspect of the new SIG category is that it appeals to small, producers of individual wines like Mark Angeli in Anjou, Pascal Potaire in Touraine and others, who despair of the AC system refusal to say anything about looking after vineyards in a sustainable manner. A system that is full of rules about what grape varieties you can plant, etc. 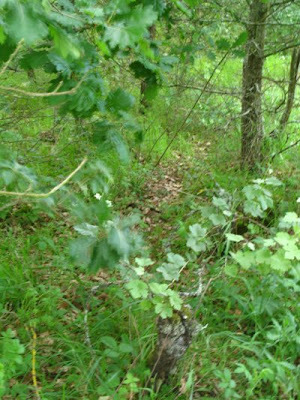 based on apparent typicity, but which permits the widespread use of an armoury of chemicals, which may or may not be fatal for the long-term life of the soils. Although a number of wine makers have previously chosen to sell their wines as vin de table, this has supposedly prevented them from putting details like the vintage and where it comes from on the label. There are, of course, ways around this by calling a wine Cuvée for instance. Doubtless they will find ways around restrictions on saying where the wine was produced. 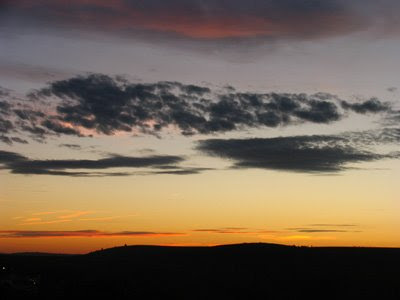 Samedi 18 juillet: Randonnée pédestre semi-nocturne, 19.30: repas champêtre, fête foraine, bal gratuit, feu d'artifice. Following on from yesterday's post of some photos of Pouilly-sur-Loire taken on a visit to the region in late October 2006, here is a selection of Sancerre taken at the same time. 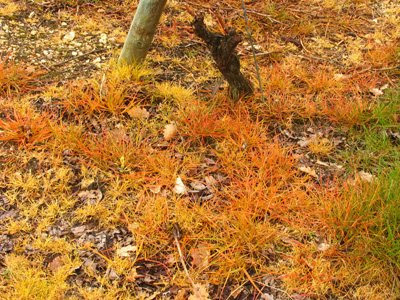 With the autumn colours – making it easy to recognise at a distance blocks of Sauvignon Blanc (golden) and those of Pinot Noir (red tinged). 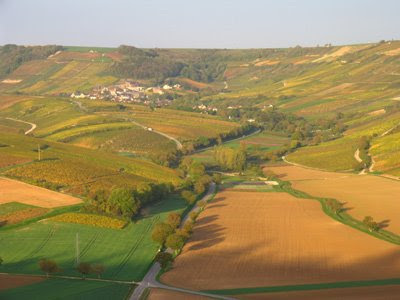 From Sancerre towards Chavignol and the hills that encircle the village. Christian Papin – 'under investigation'!